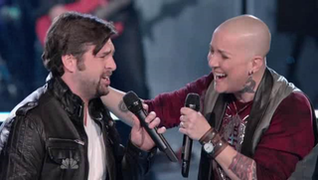 When will be The Voice next episode air date? Is The Voice renewed or cancelled? Where to countdown The Voice air dates? 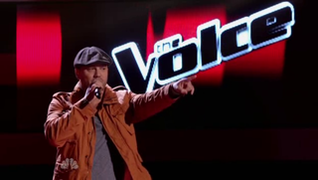 Is The Voice worth watching? The Voice is a reality singing competition show where the idea is to find new singing talent via a series of auditions. Coaches Adam Levine, Christina Aguilera, Blake Shelton and Pharrell Williams watch more of their vocalists battle to stay in the competition. Featuring advisors Patti LaBelle, Gwen Stefani, Sean "Diddy" Combs, aka Puff Daddy, and Tori Kelly. The top 11 artists perform live in front of coaches Christina Aguilera, Adam Levine, Blake Shelton and Pharrell Williams for America's vote. Carson Daly ("TODAY Show") hosts. Nine artists will be revealed as safe by America's votes. The bottom two artists will then compete for the Instant Save and one will be eliminated. Christina Aguilera, Adam Levine, Blake Shelton and Pharrell Williams star as the celebrity panel of coaches and Carson Daly ("TODAY Show") hosts. ACM winner Thomas Rhett will take the stage to perform, for the first time, his latest Top 15 single "T-Shirt" off his sophomore album "Tangled Up". The top ten artists perform live in front of coaches Christina Aguilera, Adam Levine, Blake Shelton and Pharrell Williams for America's votes. Carson Daly ("TODAY Show") hosts. Eight artists will be revealed as safe by America's votes. The bottom two artists will then compete for the Instant Save and one will be eliminated. Season Eight winner Sawyer Fredericks will perform his single "4 Pockets" and Joe Jonas-led group DNCE will perform a medley of their singles "Cake By the Ocean" and "Toothbrush." Christina Aguilera, Adam Levine, Blake Shelton and Pharrell Williams star as the celebrity panel of coaches and Carson Daly ("TODAY Show") hosts. The top nine artists perform live in front of coaches Christina Aguilera, Adam Levine, Blake Shelton and Pharrell Williams for America's votes. Carson Daly ("TODAY Show") hosts. Seven artists will be revealed as safe by America's votes. The bottom two artists will then compete for the Instant Save and one will be eliminated. Christina Aguilera, Adam Levine, Blake Shelton and Pharrell Williams star as the celebrity panel of coaches and Carson Daly ("TODAY Show") hosts. World-renowned recording artist P!nk will serve as superstar advisor for the eight semi-finalists. 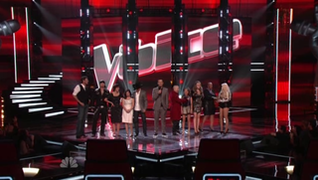 The top eight artists perform live in front of coaches Christina Aguilera, Adam Levine, Blake Shelton and Pharrell Williams for America's votes. Carson Daly ("TODAY Show") hosts. America will vote to keep the top three artists in the competition. After these finalists are revealed, the bottom two artists will be sent home immediately, while the middle three artists will compete in the Instant Save for the last spot in the finale. Alicia Keys, who is set to become the new 'Voice' Coach in the Fall, will sing her new single 'In Common,' while OneRepublic will perform "Wherever I Go." Christina Aguilera, Adam Levine, Blake Shelton and Pharrell Williams star as the celebrity panel of coaches and Carson Daly ("TODAY Show") hosts. In the final phase of the competition, the final four artists perform live in front of coaches Christina Aguilera, Adam Levine, Blake Shelton and Pharrell Williams. 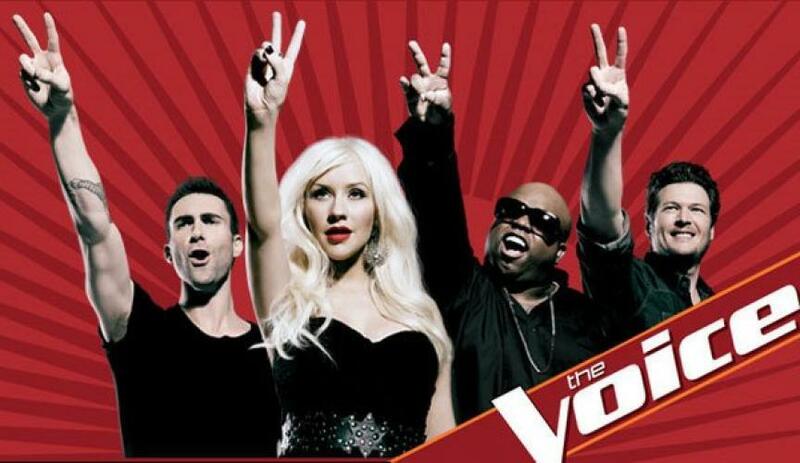 One of the four artists will be a step closer to being named "The Voice." Carson Daly ("TODAY Show") hosts. It's the season finale of "The Voice," and host Carson Daly ("TODAY Show") will reveal who America has chosen to be the winner. Christina Aguilera, Adam Levine, Blake Shelton and Pharrell Williams star as the celebrity panel of coaches. 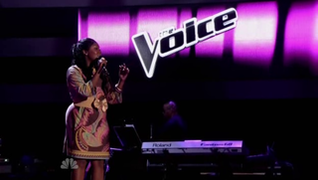 The Voice next episode air date provides TVMaze for you. EpisoDate.com is your TV show guide to Countdown The Voice Episode Air Dates and to stay in touch with The Voice next episode Air Date and your others favorite TV Shows. Add the shows you like to a "Watchlist" and let the site take it from there.